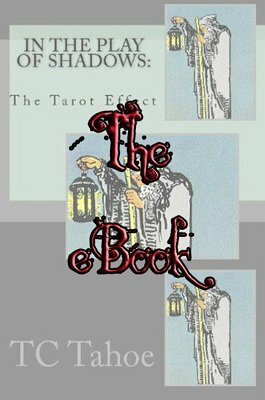 29 effects with Tarot cards. Until now, it's been hard to find powerful effects that use Tarot cards. For me, effects with Tarot cards should include a fascinating story, and any moves need to look natural. Complicated sleights and Tarot cards do not go well together. I have seen magicians destroy all credibility by performing feats of finger-flinging with Tarot cards. T C Tahoe obviously knows all this. His book is full of powerful effects, created with simple moves, and every one of them has a delightful story designed to intrigue, captivate and entertain the spectators." Then are Two Pictures Worth Two Thousand Words? 1st edition 1992, reprinted several times; 1st digital edition 2012, 116 pages. This is entertaining, practical and great material!